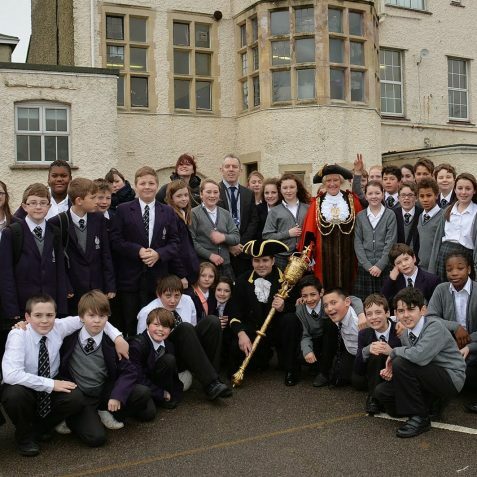 Click on a thumbnail to open the image in a new window. 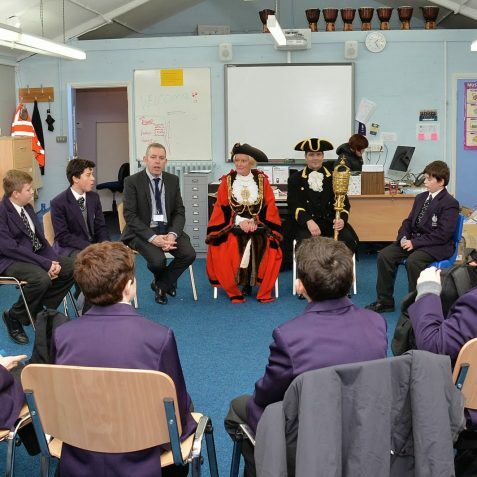 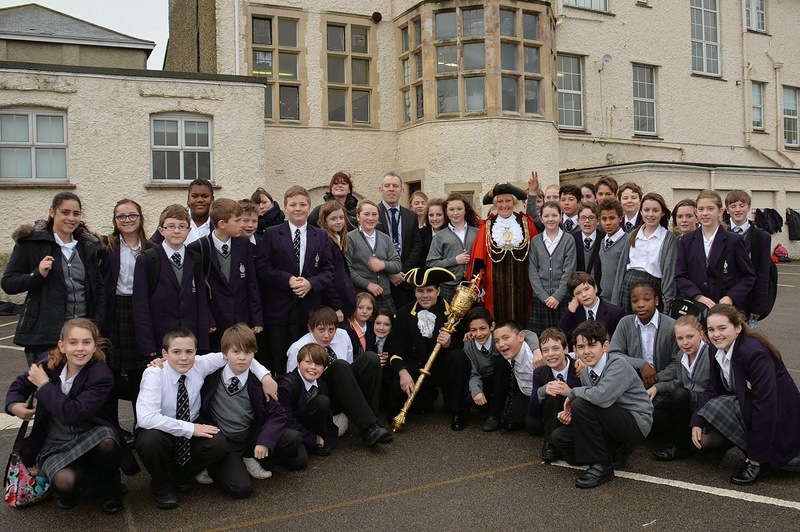 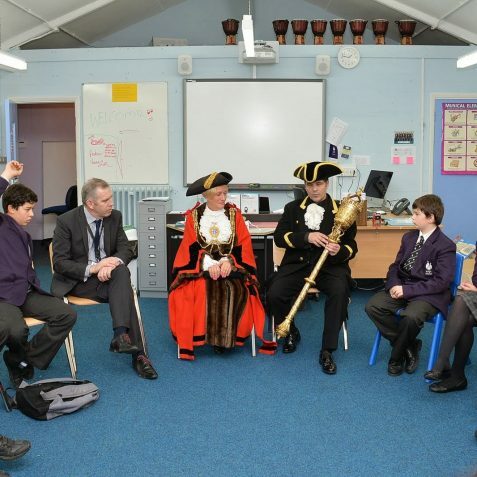 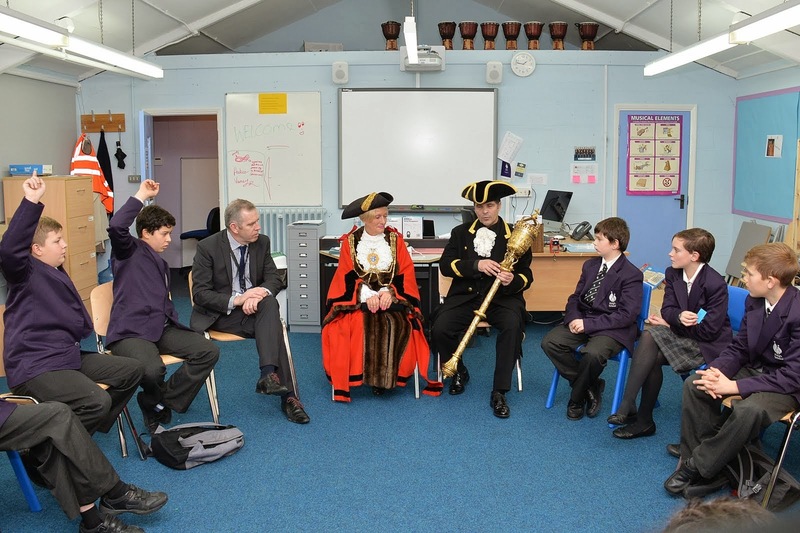 The Mayor of Brighton and Hove, Councillor Denise Cobb, accompanied by Robert Robertson, the city Mace Bearer, recently visited King’s School, the first secondary Free School in Brighton, which is situated in Portslade Old Village. 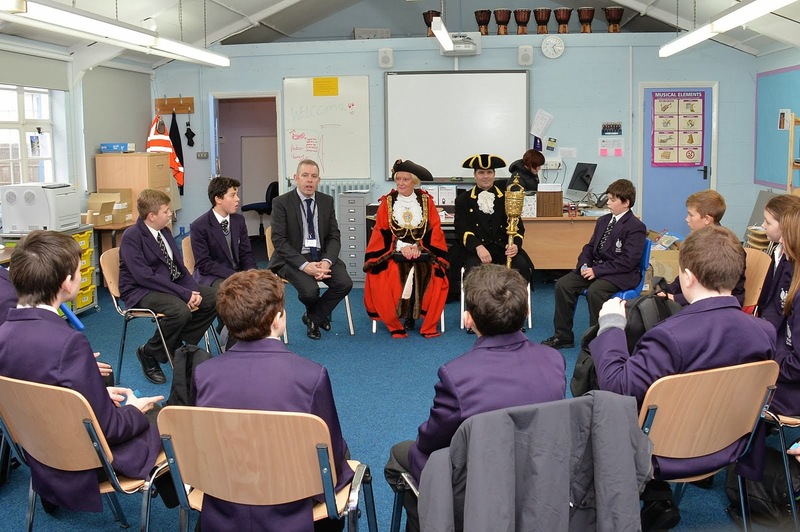 They were welcomed by year 7 students, and given a tour of the school and its facilities by the founding head teacher Steve Flavin. 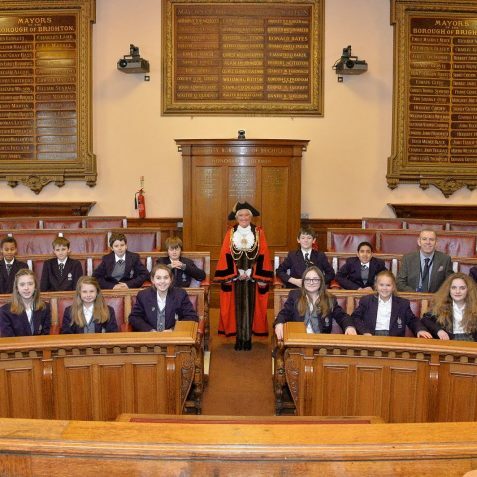 Councillor Cobb gave a talk on the history of the Mayoral office and local politics, and answered lots of questions from Year 7 in relation to their Citizenship curriculum. 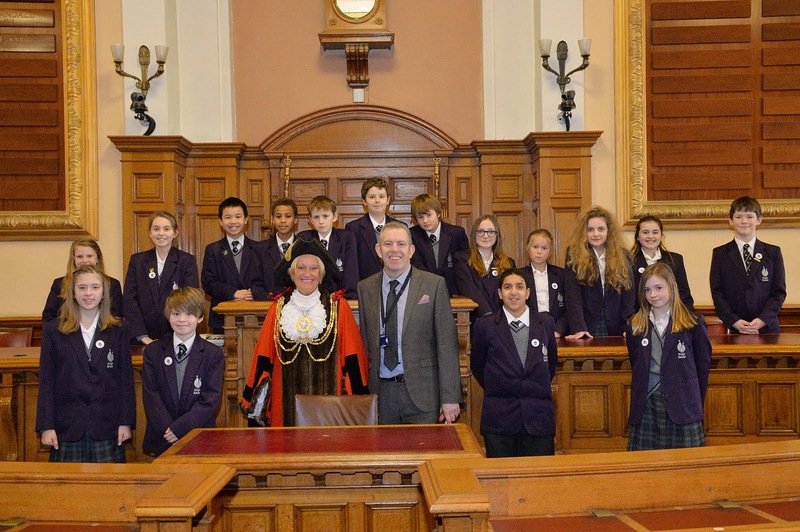 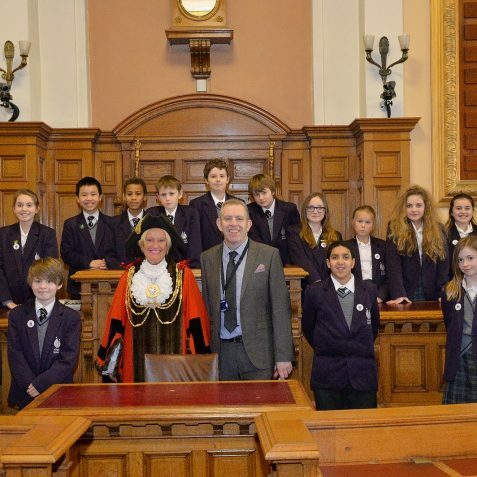 The students were invited to visit the Town Hall to learn more about the work of Brighton and Hove Council. 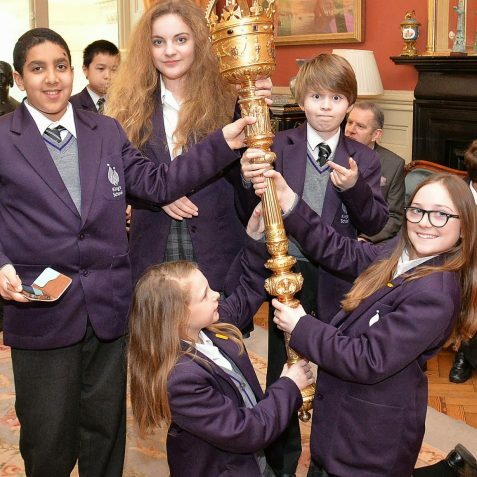 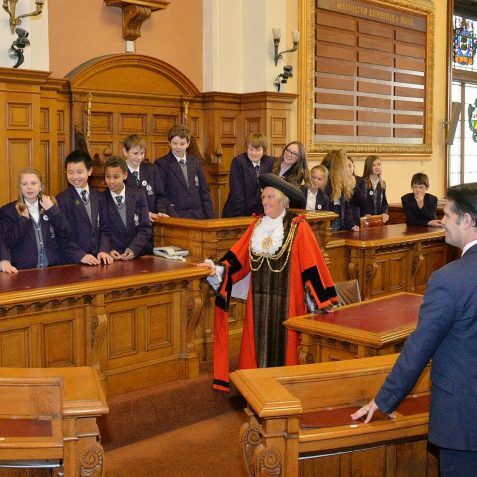 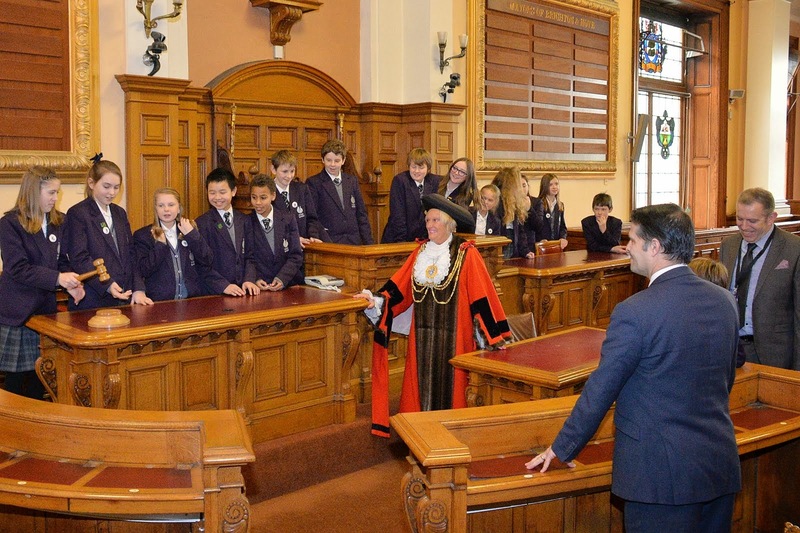 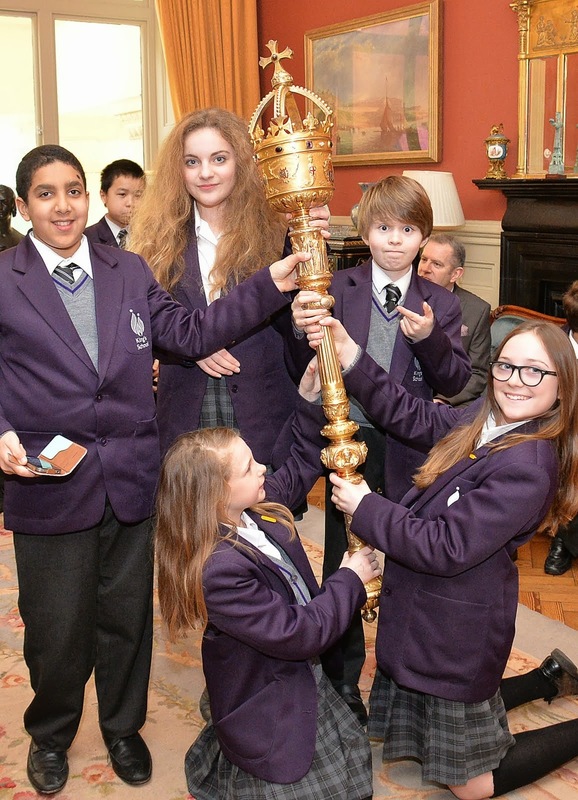 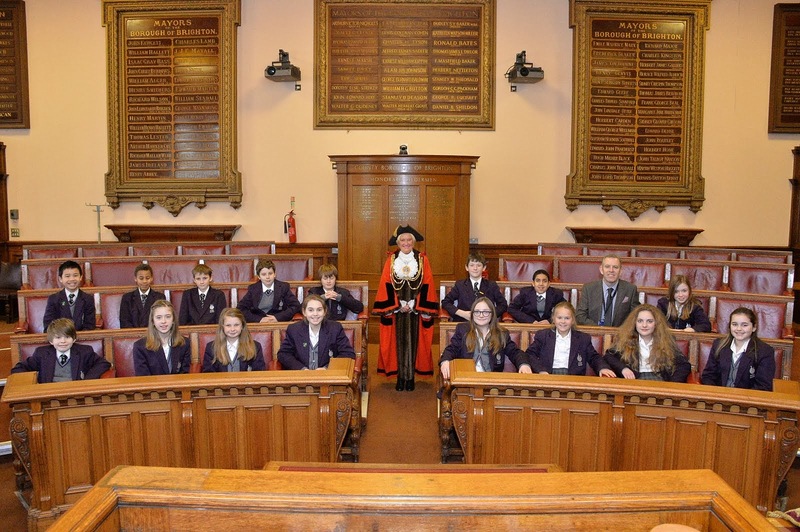 They enjoyed seeing the Mayor’s Parlour and conducted a mock debate in the Council Chamber.